Here at Harmony FM we provide a listing of various support groups and networks in our area, which may be useful to our listeners from time to time. 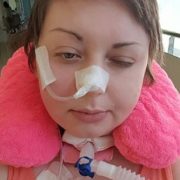 The 'Tasha Appeal' - Please read, watch the video and help! https://harmony-fm.com/wp-content/uploads/tasha-a.jpg 306 306 Jenny Dixon https://harmony-fm.com/wp-content/uploads/HFM-New-Logo-D-Trans-201217.png Jenny Dixon2017-11-30 12:24:192017-11-30 15:35:10The 'Tasha Appeal' - Please read, watch the video and help!